Yay! 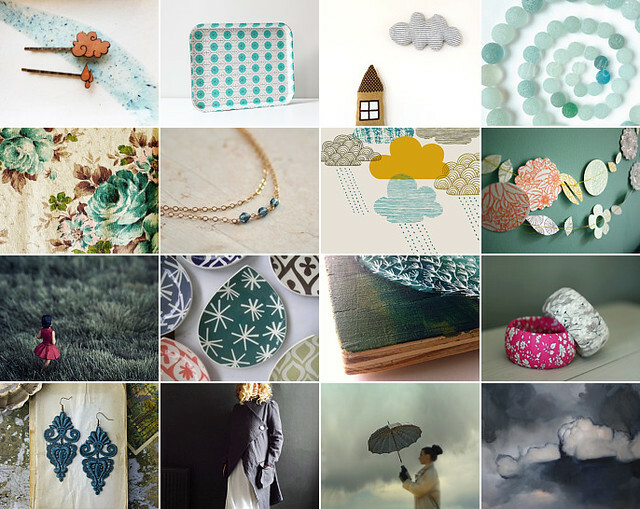 I've got a wee bit of my Etsy treasury making groove back at the moment and it's making me very happy indeed! 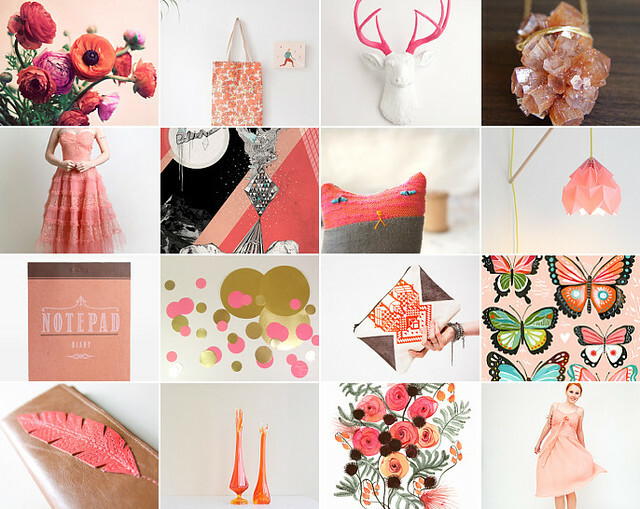 I had forgotten how much of a welcome distraction searching for pretties and curating them into equally pretty collections can be. While it gives me a wee break from crocheting, photographing, answering messages and tons of other work stuff it really helps to maintain and even stimulate my creative energy. It's such a great pick me up and a whole lot of fun too! Above is 'that cat's got serious attitude...' inspired by my love of all things pinky-peachy-orange and of course wee 'Herb' there who seems to be eyeing up those butterflies for a wee bit of mischief! Below is a collection I made last week and sadly the sentiment is still holding true today, 'some days it just keeps on raining...' *sigh* Oh, how I would love to have a wee rant about all this dreariness and how I feel like I'm still stuck in miserable winter mood, but I shall not! Instead this wee collection is serving as a reminder of the beauty and inspiration that can be found in those heavy rainclouds once you choose to adjust your perspective of the world. Miss Ivy, I haven't made any of them for months and thought I had moved on to new ways of sharing my Etsy faves... but lately I've rekindled that old spark again! Beautiful treasuries. I enjoy making them as well. I love these--how does one go about making such a collage--I'd love to try my hand at it.